The Siguatepeque, Honduras wine company, Empresa Agrosilvopastoril Villa San Pablo (EMAVISAPA, S. de R.L. ), has just been recognized with three important medals at the biggest and most prestigious wine and spirits competition in Hong Kong/China, the China Wine and Spirits Award (CWSA) 2015. 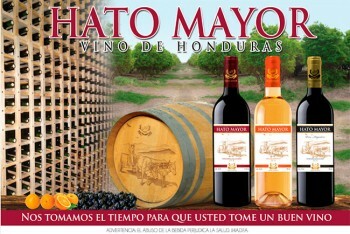 The Honduras wine producer, EMAVISAPA, received the honor of being chosen as a contender in the prestigious CWSA worldwide wine competition in August. The heavyweight blind tasting held in Hong Kong resulted in EMAVISAPA’s Hato Mayor Honduras wines being rewarded with one Silver and two Bronze Medals, after being judged alongside famous brands from impressive wine producing countries, including Scotland’s HAIG CLUB (David Beckham and Simon Fuller); Australia’s Wolf Blass and Peter Lehmann; Chile’s Vina Ventisquero and Aguirre; France’s Bernard Magrez and Les Grand Chais de France; Italy’s Feundo Arancio and Cantine San Marzano; New Zealand’s Saint Clair and Marisco; Portugal’s Casa Santos Lima and DFJ Vinhos; South Africa’s Distell and La Motte Wine Estate; China’s Chateau Nine Peaks and Spain’s Williams and Humbert and Rioja Vega. The largest and fastest growing wine market in the world, the Chinese enjoy their wines, receiving another boost thanks to the rising popularity of wines among their younger consumers. With 37 million adults poised to attain drinking age within the next five years (that’s more than the population of Canada), experts say that sales in this segment alone could skyrocket by as much as 200%. ‘We are extremely proud of our recognition at CWSA 2015. The most renowned brands in the world compete and it is an honor to see that our wines compare with the best in the industry. A CWSA Medal is a trusted badge of honor. We have always been committed to quality, but this further bolsters our desire to craft the best products possible,’ according to Libertad Pinel, General Manager of Emavisapa’s Honduras wine company.